Our organization is well known in the industry, engaged in offering a broad range of Melting Furnace to our prestigious clients at reasonable prices. The highly qualified system to a certain the substitution of the heating up element in 3 minutes with the platinum sensor, warning device & accessories included. 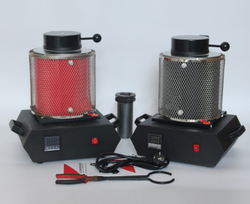 We are also providing Gold and Silver Melting Machine as per the customer requirement. 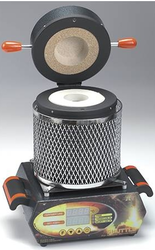 Clients can rest assured upon us for achieving a smart and captivating range of Gold Melting Furnace. Looking for Melting Furnace ?